The Whitworth has been awarded the Art Fund Prize for Museum of the Year 2015. The prize is the biggest museum award in the world and the largest arts prize in Britain. The £100,000 Prize was presented by novelist Ben Okri and accepted by Maria Balshaw, Director of The Whitworth, part of The University of Manchester, at a ceremony at Tate Modern. 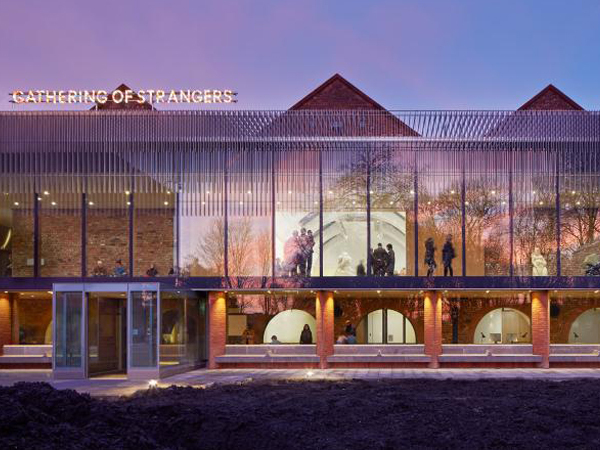 Through its impressive £15m reinvention, the Whitworth has redefined the way that it engages with its public, connecting the building and surrounding park to create a space with a sense of openness and invitation. The appeal of the newly-developed building combined with the creativity and originality of its outreach programmes during closure, resulted in record-breaking visitor figures following its reopening.